It is very hard for many people to choose their college major. Statistics show that 50%-70% of students change their majors at least once and most will change majors at least three times before they graduate. Numerous schools make it so that you must have a major in mind before you attend, or some even make it so you have to apply to the “school” that has your major in it. For me, it was very important to go to a school that had a broad yet focused education so that I was not just focusing on one thing, because I’d like to say that I think it would be pretty boring to take classes in only one field for four years or even more. Liberal arts schools like Pomona make it so that you gain critical thinking skills that you can use across all fields. Even though I am a media studies major I have taken a math class, a psychology class, and other classes that I am able to connect to concepts I learn in my media studies classes. Next semester I have decided I am going to take a computer science class just to get some extra skills that I may be able to use for the future, and its okay because my school wants us to delve into different disciplines, they encourage it. I believe this to be the only way to truly find out what you want to do because taking different classes helps you see what you definitely don’t want to do and maybe help you find something you have an interest in although you never knew you had an interest in it. Ever since I was little I knew I wanted to be a journalist and when I was looking to apply to schools, that was definitely a huge factor for me. Journalism/Media was my intended major and I have stuck with it just because I have a passion for the media and everything it has to offer. I was set on going to a really great journalism school like USC or Northwestern, but then I discovered Pomona. Not the best school for journalism, but very academically challenging and community centered–I fell in love. Sometimes I do have little tinges of regret about my decision of going to Pomona because of many of my friends in other journalism programs like USC and Mizzou, who have a big network behind them since they go to big universities. When I do have those tinges of doubt I quickly realize again and again that college is not just about what your major is. Yes it matters, but you are going to get a good education at any elite school you choose. At Pomona I am gaining knowledge from across disciplines and am having the true undergraduate experience. So I say, yes, majors matter, but I wouldn’t get too caught up with it especially because as we grow, our interests tend to expand as well. I know that Pomona may have not been the best choice to go and study “journalism” per say, but I know the well-rounded person it is making me become will be much more useful in the future anyways. If you are still an underclassmen or even are just now applying to colleges, I advise that when you are in college you take classes that you would have never thought about taking because, in the long run, it will make a difference and you will be happy you did. We cannot limit our minds from gaining knowledge in only what we are interested in because that would be way too easy. 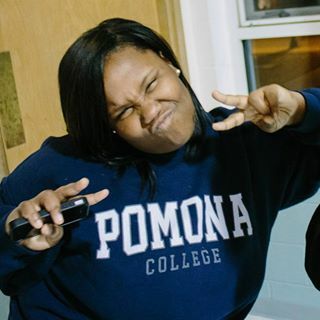 Since January is the month for reflection and starting new goals for the year I have decided to reflect on my time at Pomona as a low-income, first-generation student. It’s now been three years since my first year at Pomona and I feel extremely blessed for the time I have had there thus far. It’s not every day that a girl from the south side of Chicago gets to go to an elite college all the way on the other side of the country. Every day that I am on campus it amazes me because even though it has been three years, I still cannot believe that I attend such a brilliant school. The opportunities that Pomona offers me are endless, and I cannot stress enough how grateful I am that I go to such a academically rigorous school, for little to no cost, that also surrounds me with some of the most incredible people I have ever met. I really wish I could give that opportunity to other students out there because many do not get that shot. There are many experiences that Pomona has given me. 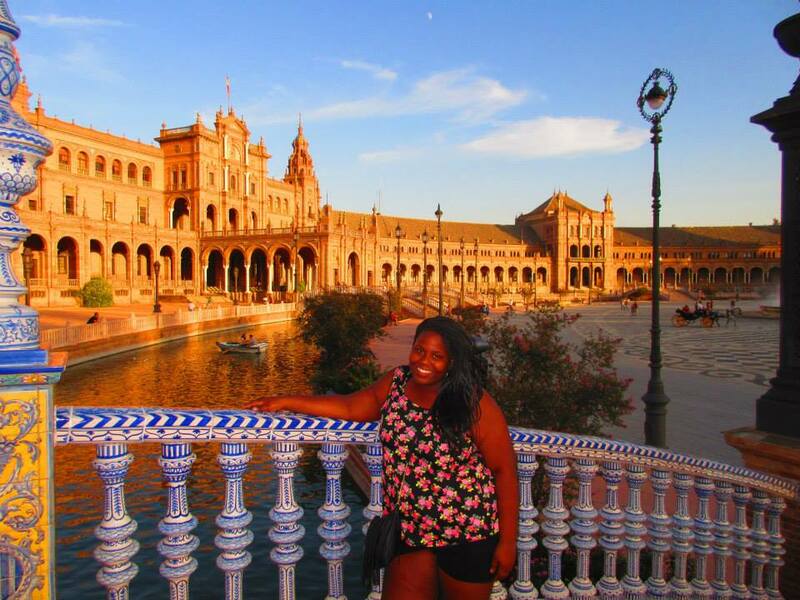 One experience from last semester that I will never forget would be my study abroad experience in Spain. Exploring different cultures, perfecting my Spanish, meeting new people–one thing I learned from that experience is that we cannot be the best citizens in this world unless we gain a bigger perspective of what the world is. Before study abroad I had barely been out of the country and now I can say I have been to five countries and have experienced their different lifestyles. Before I went abroad I was so afraid of change because I was having so much fun at Pomona; it basically was like paradise to me. I thought, why would I leave the incredible place that I chose to attend, for a semester in a place that was more than 4,000 miles away? Now that I went, and saw, and conquered, it made me appreciate Pomona even more, and made me excited to what else the world has to offer. Another experience was the incredible internship I had with an online news show and magazine that was an unpaid internship, but became paid because Pomona has a great program that pays students to do unpaid internships. I got to continue to develop my passion for journalism and to improve my writing skills by writing blogs for the company’s website. One thing Pomona believes in is undergraduates having the opportunity to research and have real world experiences, and for me, it was a pleasure getting to network with my supervisor and having the chance to get some more resume experience. And of course, freshmen year seems so long ago, basically just like yesterday, but one of my favorite moments from that year was the experience of having my first year in college. The ability to make mistakes, to feel like each new day was a day for exploring, and the excitement of everything that was coming next. I do remember vividly being a part of my school’s hosting program where we hosted a bunch of students who were interested in attending Pomona. One thing I love doing is giving advice to those younger than me and in similar situations. Getting to host these girls, who were so bright and brilliant, and help them navigate their way through college applications and decisions was for sure one of the best aspects of my first year. I was privileged enough to have constant support from my high school in college applications but a lot of students, especially first-generation and low-income ones, do not have a lot of resources, and if I can be that for them, I take every opportunity that comes. There are so many memories I have from my two and a half years at Pomona, yet not enough space to write about all of them. Obviously working with Quest has been gratifying, getting to make some of my best friends has been gratifying, and getting a scholarly education has been wonderful–I cannot believe that next year will be my last year at Pomona. My advice to everyone in college, especially the students in their first year, would be to make every moment last, grasp every opportunity there is, and have the time of your life because it goes by way too fast. Reflecting is important, but living in the moment is just as important. If it is your first break back from college you will probably respond to these questions with elaborate details and long explanations, but once you become a seasoned upperclassmen you usually sum everything up with one sentence. Interestingly enough, this semester I was abroad and you can’t come back from a lavish trip to Spain with one-worded answers, so I had to give a little more explanation to how my semester was. It was kind of like it was the first time I came home from college all over again because studying abroad is such a completely different experience. It’s been a couple of weeks since I got back from one of the most incredible experiences of my life, and although I am still jet lagged from my 14 hours of traveling back to the United States, I do not regret my study abroad experience for anything. 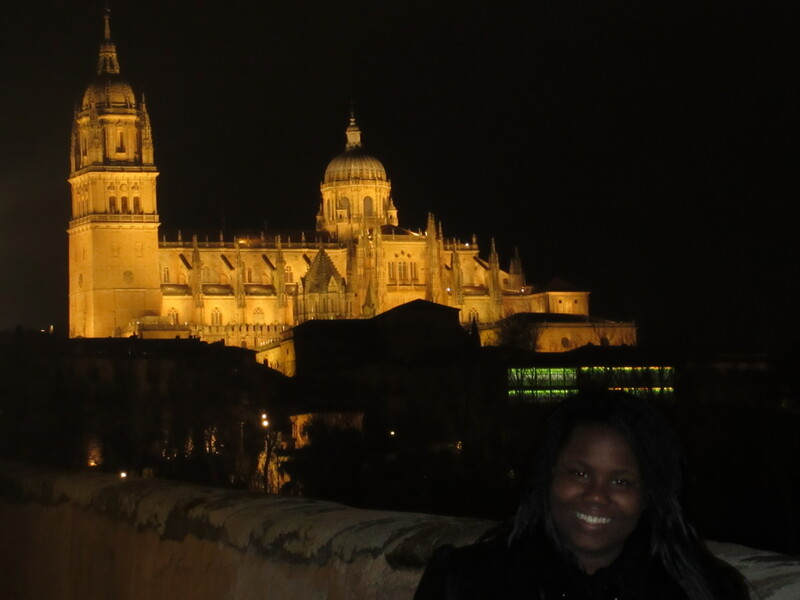 During my last day in Spain I experienced a lot of reflection (and tears) because Salamanca truly became not just my home but a place that has helped me become a better person. Leaving the town behind is one thing, but I can’t even begin to express how sad it was getting on the bus to the airport and leaving my host family behind because they probably changed me the most and will always have a place in my heart–I miss them so much. From saying goodbye to all of my favorite shops and restaurants to all of my new Spanish friends, to the elementary school kids I volunteered with, to even my favorite professor at the university, it all seemed so surreal once I boarded my plane to Chicago. I became so accustomed to the Spanish lifestyle that as much as I was ready to go home, I could not fathom being back in the States. Twenty four hours later I hopped off the plane at O’Hare airport and I was so confused because all of the signs were in English, and just yesterday I was finally starting to think in Spanish. It was definitely a bittersweet feeling being at the airport because it was starting to hit me that my Spanish experience was actually over. But things became sweeter when I saw my mom and brother after four months of being away from home. Not to mention, I could not wait to get back to my favorite American foods. My first meal back, Buffalo Wild Wings, was incredible. Sinking my teeth into those hot wings was so satisfying. But of course I didn’t come home the same person I was when I left, and I can assure everybody that after any study abroad experience, coming home the same would be virtually impossible. The good news is that this is not a bad thing! After being back for a week now I can say that yes, there are many things I appreciate about the US, like the free water at restaurants, or that people are a bit friendlier on the streets, but there are many things that I miss and will continue to miss about Spain, like the fresh baked croissants every morning, or the siestas, or the fact that the whole family eats lunch together everyday, because I think those things are very valuable. Overall I just feel so blessed and full of gratitude that I got the chance to go abroad even though I was so against it in the beginning because I was extremely afraid of change. I now know that change is so important, because when you have change in your life it subconsciously changes your perspective of the world and helps you see the world from a different angle. I can’t express all of the changes that I feel I have gone through, but I believe I have come back to the US more open and more appreciative. Even if you are just coming home from a regular semester at college, I think each semester changes you in different ways. I remember coming home for the first time and I was a little bit more knowledgeable; I was starting to form my own opinions on things, some that were a little different than my family’s, and I felt like I had a new perspective on the world. Your family will definitely notice how you are maturing and growing each time you come back from college and especially as a first-generation, low-income student, your family may not always understand college life and all of the things you may be going through while you are away. I suggest that when you have breaks from college you should definitely take time to rest, but also take time to reflect, because you only have the undergrad experience once, and this is the time when you really come into yourself as a a person. So as much as we don’t like answering those million and one questions, we should, because just by reflecting on our experiences aloud we are helping our families, as well as ourselves, understand the incredible changes we are going through. P.S. You should also throw in some internship applications during winter break to stay ahead of the game! Deciding whether to move away for college or stay close to home can be a difficult decision, but there really isn’t a right or wrong answer. It mostly depends on your personality, timing, and a host of other curve balls, but I can say that for me, it was the best decision. 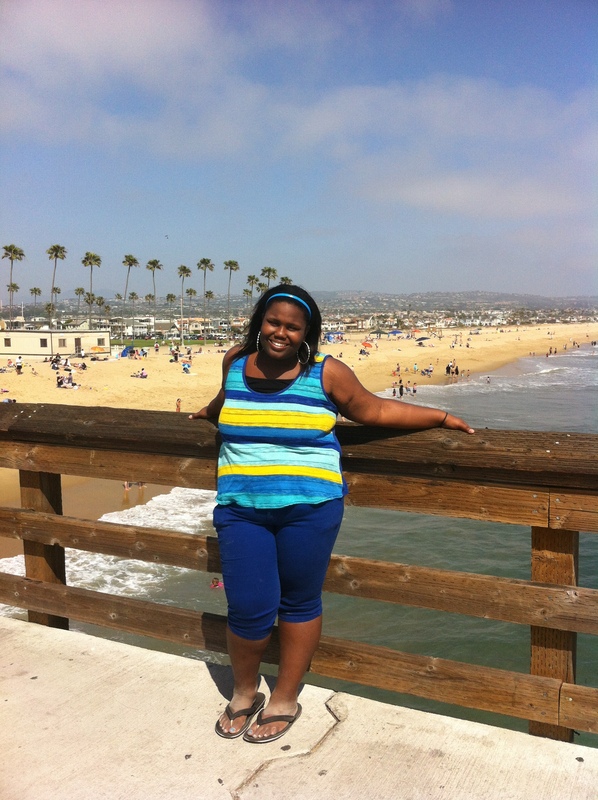 I am a pretty independent person and knew I always wanted to live in California since I was 5 years old. My dream is to be a journalist so I guess one reason why it seemed smart to go to school in California was because the career that I want to have has a big concentration in Los Angeles. Being on the West Coast made it easier to find internships and opportunities and be a part of the media as an undergrad. I also knew that I wanted to be away from the cold. Weather may not seem like a big factor in college decisions, and I would agree that is not the most important, but weather often can affect your mood. My thinking was that more sunny days would make me happier and more willing to study. Also, who wants to trudge through the snow every day to get class every day? Not me. Most importantly, I guess I wanted a different view of the world. I had never been to the West Coast before and I always heard it was more laid back, a little more liberal, and overall a place where I would be able to enjoy college life. When I visited Pomona for the first time on their diversity weekend, I fell in love with the West Coast and could not see myself anywhere else. And just to make the decision easier for myself I basically applied to only West Coast schools so that I would have to end up there. This is not to say that moving away from home is the easiest thing in the world, because I am 99.99% sure that all of you who will go to college away from home will feel homesick at some time, whether it’s missing your home’s food, people, the vibes—and this is for everyone who goes to college in general. I still miss home every now and then, especially during holidays where I can’t just fly home to see my family because it is a bit expensive (you should also factor that in when you are deciding). Especially for me, moving from Chicago, a big city, to the small little suburb of Claremont, it was definitely an adjustment. But I think that is the beauty of college. You evolve, you grow as a person, you gain independency that you never thought you had, and as long as you choose the college that is right for you, adjusting does not take very long. I am super pro-moving away from home because I think the process made me completely immerse myself in the college environment and I know many of my friends who stayed closer to home had a longer adjustment process because they visited home constantly the first couple of months. It honestly just depends on your circumstances, but as long as you do what’s best for you, college will be a great experience no matter where you go! I will be the first to tell you that it is very difficult staying productive while you wait to hear back from colleges. If you thought it was exhausting writing all of the applications to your select list of colleges, it is even more exhausting waiting to hear decisions from these colleges that you put your heart and soul into researching. You gave it your all, writing meticulous facts about yourself in carefully crafted 500 word (or fewer) essays, and now you have to wait to know where your future lies. I know all of you are feeling very tired and very anxious about college decisions, and I agree with you that it is not fair that you have to wait so long for a response. But until justice is served, I know five simple things you can do that can ease the waiting process. Use this time to wrap up your research and take your final campus visits. 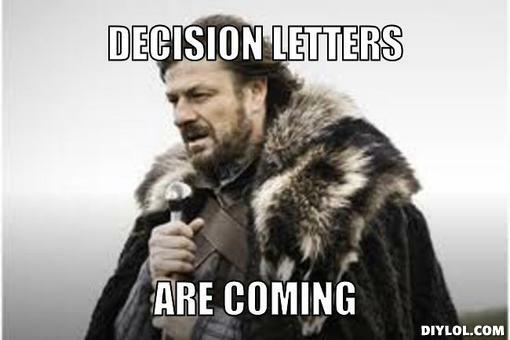 This way, you will be more than prepared to rip open those acceptances and choose the school that is right for you. Then you won’t have to play another waiting game (with yourself) called, “waiting to realize my destiny and deciding which college to attend”. Continue to apply to scholarships, because the one thing that could definitely deter you from accepting a college could be a financial aid package that doesn’t offer as much as you need. Successfully obtaining an external scholarship just might cover the costs you need to make your answer to that school a yes! There are so many out there—just Google “college scholarships,”and your world will be blown. Building upon that, you can complete the one five letter acronym all college students despise…the FAFSA! There is no getting around this; you just have to do it. The application goes up January 1st and the earlier it is completed, the more secure your federal grants will be. Focus on your hobbies. Whether it is sports, dance, theater, or whatever club you are in, focus on doing a new project within your hobby. Having a passion or outlet for your stress will keep your mind and time occupied, so that hopefully you won’t destroy those cuticles biting your nails in anticipation! This also applies to grades. Even though senioritis exists, colleges can and will rescind your admission if your grades drop significantly. Hence, you might be almost done with high school, but you are not done yet! Most importantly, you should be HAVING FUN!!! Your senior year of high school only happens once in your life. Make this time count and spend as much time as you can with your friends, having fun during spirit week, asking someone special to prom, etc, etc. Make these memories last because looking back, these are the memories you will want to remember, and not the agonizing pain waiting for college acceptances. I understand that right now is the time where a lot of you are receiving some very pleasant news and others some pretty disappointing news. I remember how happy I was when I opened up that email that was going to determine the next part of my college application process and I read the words “You are a Finalist”. Somehow it made all of the obstacles I overcame, all of the times I cried in my bed at night thinking I wasn’t going to make it, and all of the times I thought I was not going to be successful very insignificant. It was like I was a kid in a candy store, but I was a kid who worked hard, earned her own money, and could choose whichever pieces of candy she wanted – I controlled my own destiny. To all of you that received that same email: Congratulations! You all should be very proud of yourselves because not only did you achieve something that many in your life thought was impossible, but you did not let your circumstances deter you from success. Not to mention you still have the chance to receive a fully paid college scholarship! To everyone who received a not so pleasant email: This is not the end, but only the beginning. It may seem like the end of the world, it may seem like you failed yourself, but even you have much to be proud of. Applying to QuestBridge is not just about receiving that four-year scholarship. You basically completed most of your college applications way in advance because you had to write so much on the application, you put your heart and soul out there for a bunch of people to read, and that is a hard task to accomplish. Most importantly, you will now have erased the word ‘can’t’ from your vocabulary. Not only can you apply to a top-tier college/university, but hopefully now you know you are also worthy of attending one. Although this was one rejection, this will just be another obstacle that was in your way when you tell your story of success. You have every right to be upset right now and you should know that it is okay to cry and be a little disappointed. You can even take the day to eat a whole container of ice cream. Just please do not give up. Use this as fuel to add to the fire because I know you all have the potential to attend an elite college/university. Tomorrow will be a better day. Whether you are now a QuestBridge Finalist or not, we are all Quest Scholars inside. We all embody high-achieving, low-income students that are making something of themselves. We are some of the nation’s brightest, most under-served youth, and that is not something to be ashamed of, but to be proud of. We have overcome so many odds and have not just overcome them for ourselves, but for all the younger students in our communities, who will look to us as an example. An example that they can be successful. Remember that we are the next batch of leaders of this nation and our potential is endless. Congratulations to you all and I wish you all the best of luck! The only way to become a member of the Quest community is to have the drive to go for what you want. We are all driven to learn, driven to become somebody successful, and driven to reach our goals and make our dreams realities. Questies are some of the nicest people I know. We know that each amazing experience we have should not be taken for granted. We have had enough shortcomings in our lives to know that we can only be grateful for the good times. Questies not only want to succeed in life and exceed expectations but they want others to do so as well. It is not uncommon to hear of a Questie mentoring a student in their community, editing college essays for potential Questies, or tutoring students in an after school program. We love to give back because we know how it feels to not have as many resources as others, or to maybe not have a consistent support system. We want to be leaders that shape our communities. 1. We are Obstacle Slayers. If you thought dragons were hard to slay, then you were wrong. I have heard so many stories of Questies being thrown every obstacle in the book on their road to success. Unfortunately for the obstacles, we are some tough cookies. We fight for everything we want and never give. Nothing is simply handed to a Questie, We always put our all into everything we do. Being low-income or first-generation are just words that can be used to describe our situations, but they do not define who we are. Questies are driven, humble, hard-workers, leaders, volunteers, intelligent, and a plethora of other adjectives. We cannot be defined by just one thing. 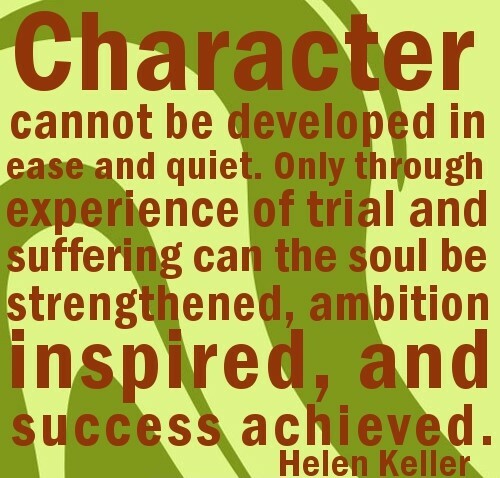 I am proud to call myself a Quest Scholar and am proud to be a part of the lovely Quest community.